Marion Cotillard wearing L.G.R. Alexandria sunglasses in the movie Allied. Marion Cotillard wears L.G.R. 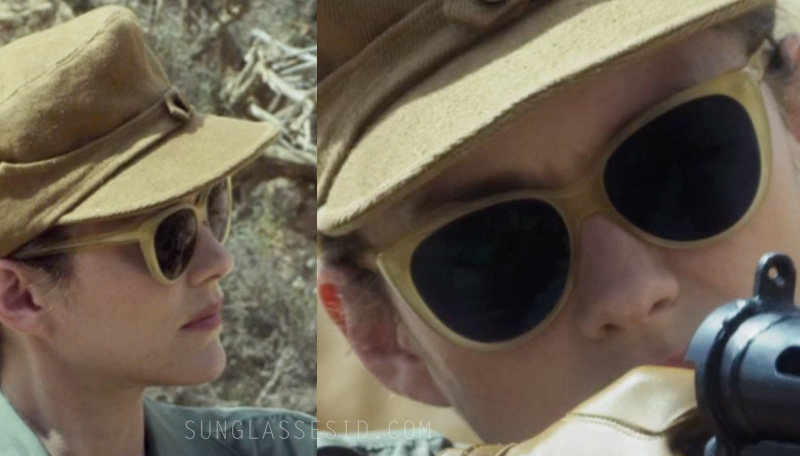 Alexandria sunglasses in the movie Allied (2016). This cat-eye frame features smooth hand polished edges and has a distinctively feminine silhouette. Cotillard wears the frame in the color Honey with Green lenses. The exact same model sunglasses is worn by Kirsten Dunst in the movie The Two Faces of January.